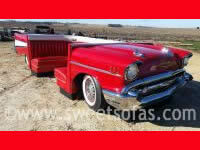 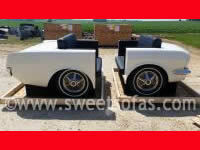 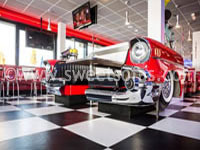 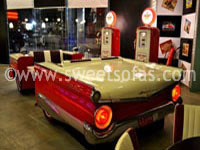 Classic Couches is proud to present a line of classic car booths that's perfect for use as diner furniture. 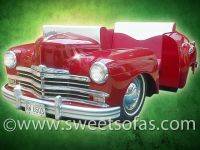 Because we only use real cars, not reproductions, we're able to design and build virtually any layout of car booth that suits your needs. 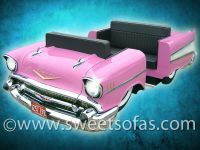 Car restaurant furniture extends from space saving car furniture items that give you the best design statement with a minimal foot print through full size auto furniture that become the focal point of your business or home entertainment area. 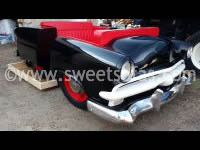 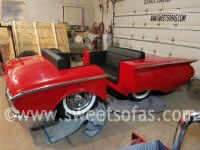 You may remember the diner scene in 'Pulp Fiction' that used furniture made from cars? 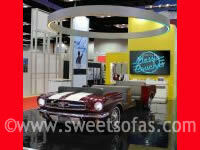 We can replicate those same style car booths! 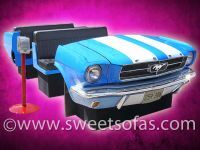 Our large scale car booths can be used to create an indoor drive-in movie theater, drive-in diner, and other car related theme decor's. 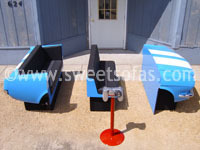 Remember it's not just a restored antique car booth. 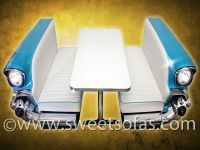 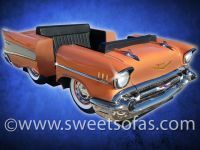 Our following classic car booths are available in many variations including car diner booths, car drive-in seating, and home theater seating, these are projects built for previous customers. 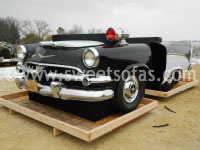 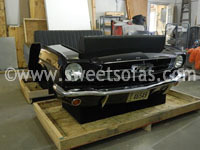 All of our automotive furniture is built from original cars and to the specifications of our client. 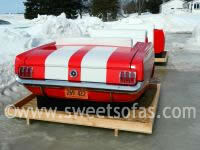 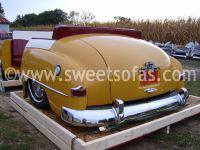 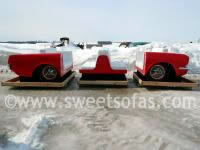 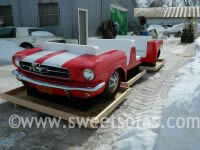 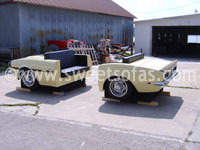 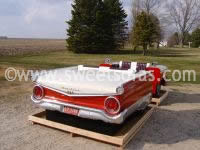 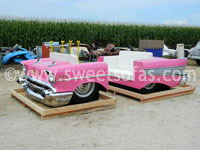 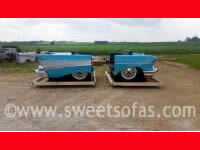 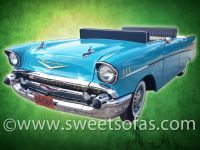 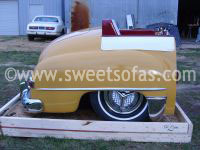 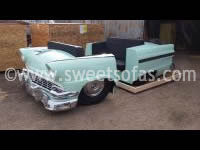 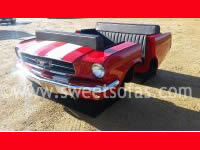 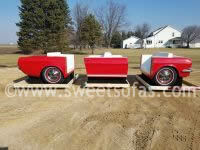 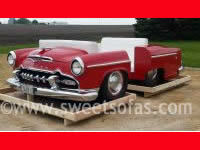 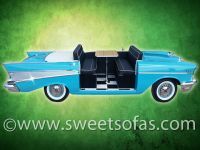 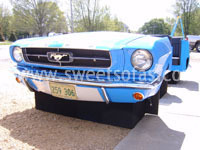 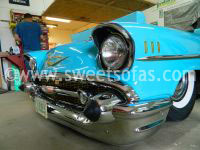 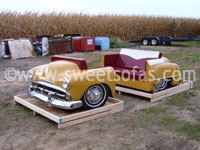 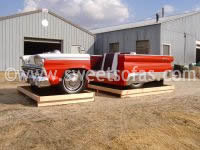 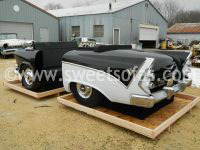 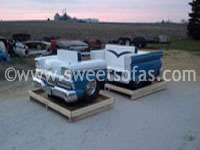 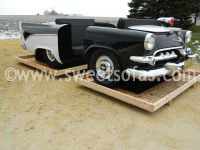 Classic Couches is happy to design a classic car booth for you! 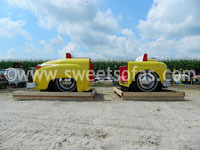 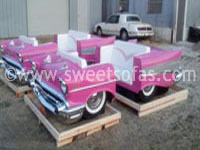 How about a vintage taxi cab, simulated car crash, police cruiser, safari jeep, or other theme car furniture. 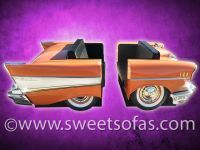 Remember, we can design and build a layout that works perfectly for your needs; using any year, make, or model vehicle finished in whatever theme that you need. 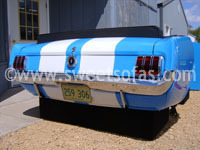 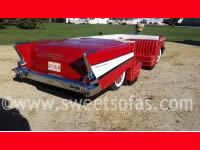 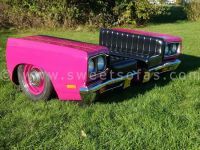 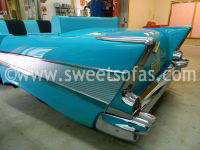 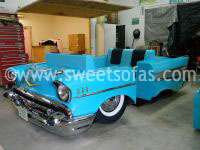 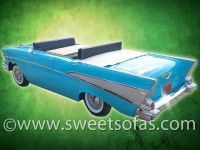 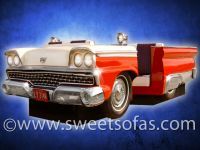 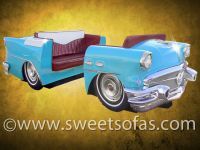 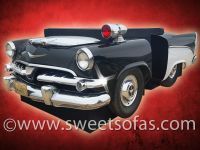 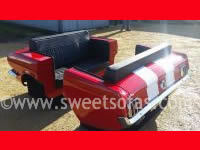 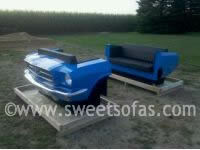 Visit our other galleries and informational pages to see more Classic Couches furniture made from car parts.